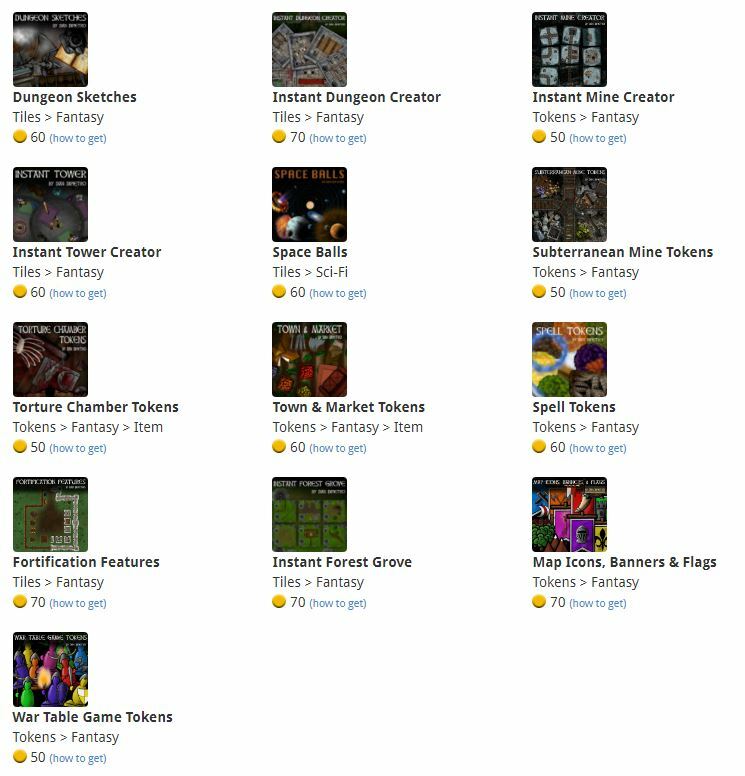 Dan DiPietro has added a large collection of tiles and token sets in the D20PRO marketplace. Go to the D20PRO Marketplace to view and purchase these tiles. You can buy and download the Dan DiPietro products directly from the D20PRO software. Click on the Marketplace link in the main D20PRO menu, then click Launch Marketplace [step-by-step instructions].